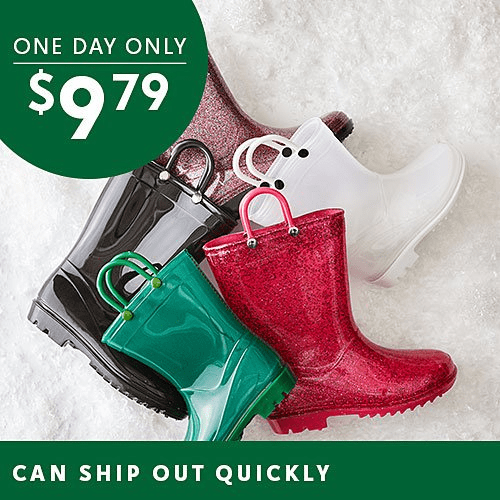 Today only, Zulily has a nice deal on kids rain boots. They are offering Glitter & Solid Rain Boots for $9.79! These normally sell for $22 or more. They have lots of colors to choose from too. They have size 5 toddler to 3 little kid. This is a today only sale.